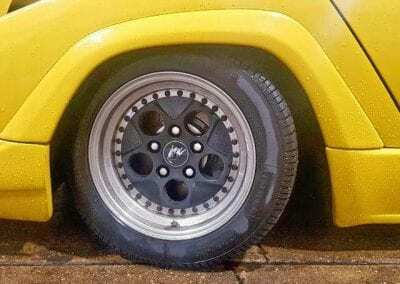 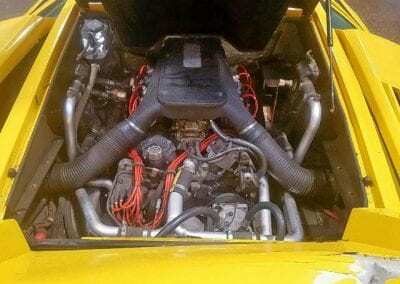 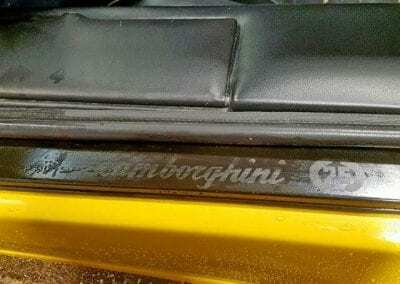 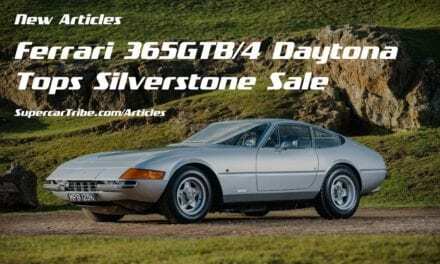 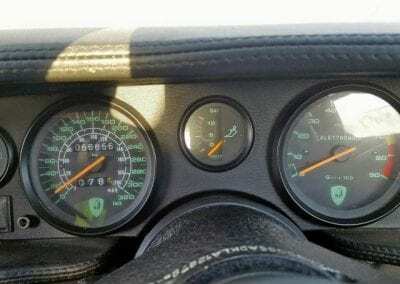 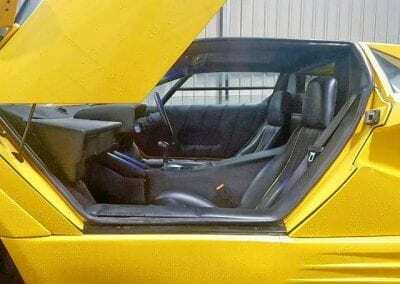 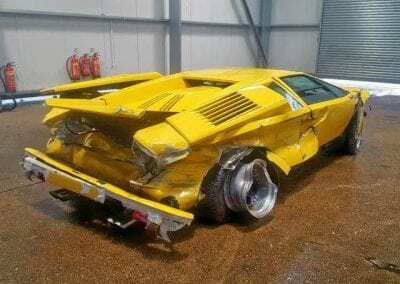 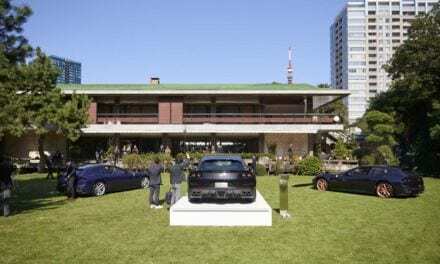 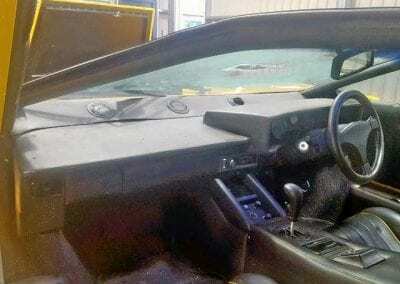 Wrecked Lamborghini Countach 25th Anniversary Edition – Good for Spares Only? 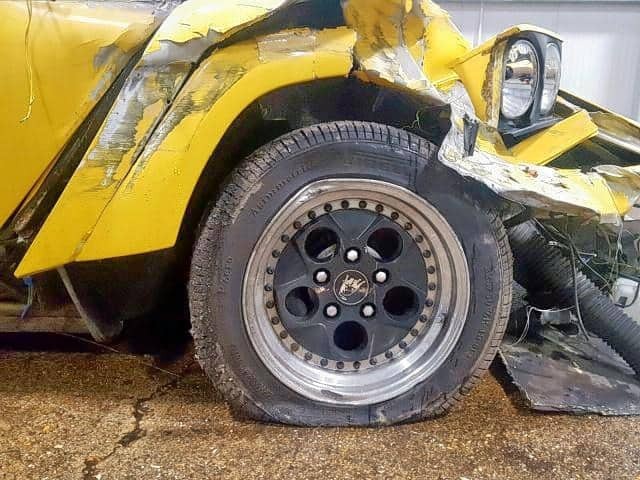 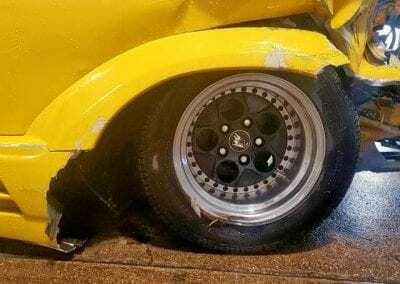 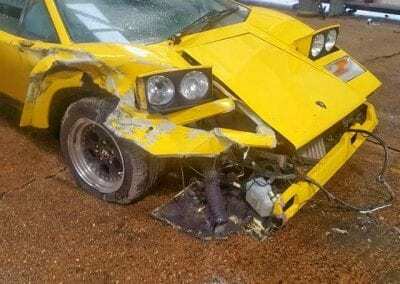 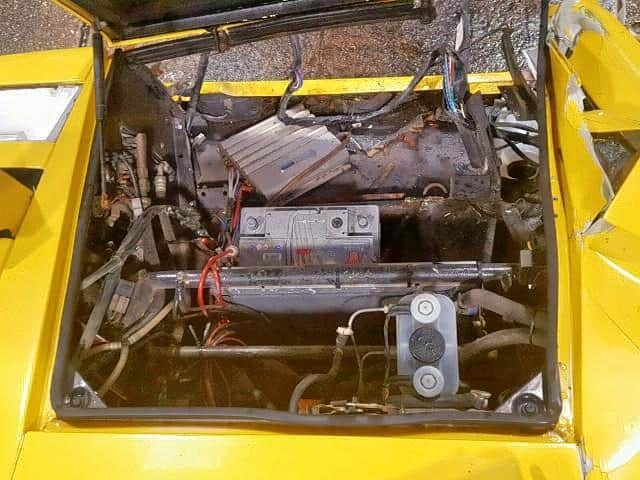 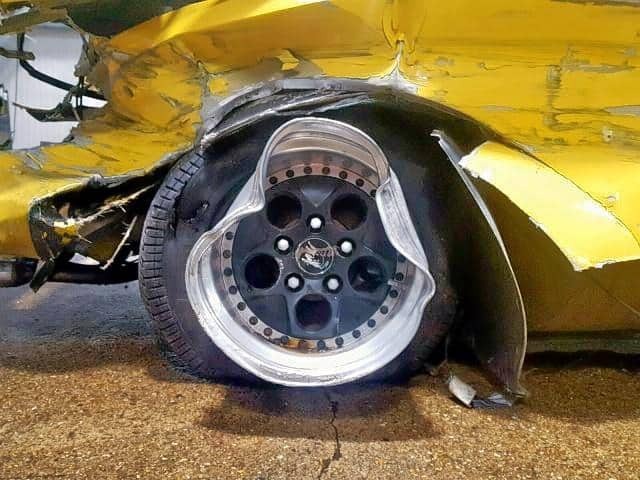 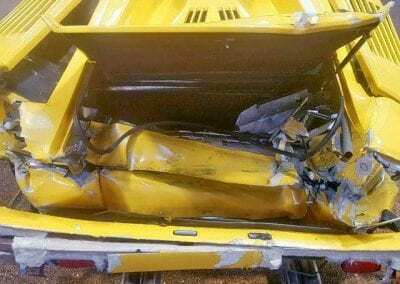 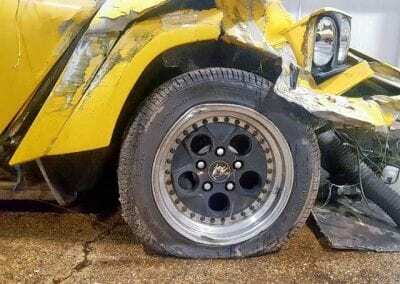 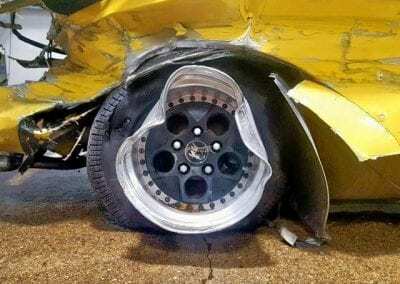 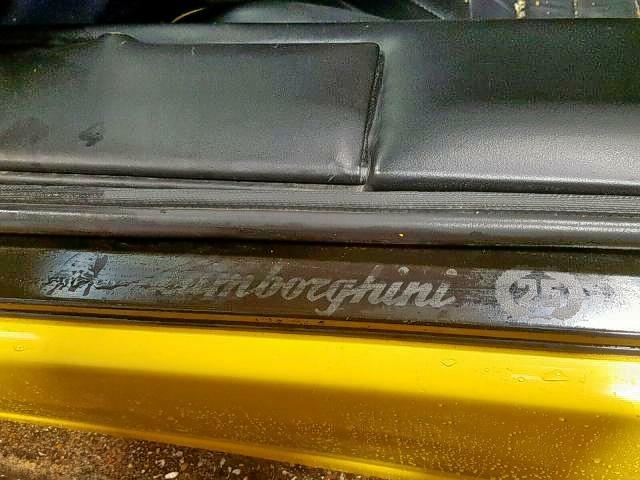 It’s a sorry sight to see: a once beautiful, bright yellow Lamborghini Countach – the 25th Anniversary Edition no less – in a state of disrepair, clearly having been crashed heavily. It’s available on the website Copart, and is listed as ‘Category B – Breaker’ and with ‘Primary Damage – All Over’. The gallery of pictures serves only to confirm such a description. 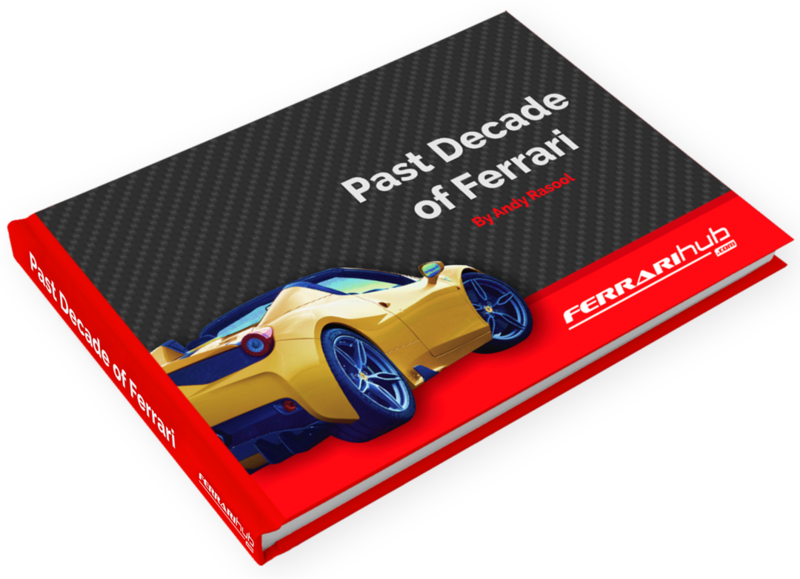 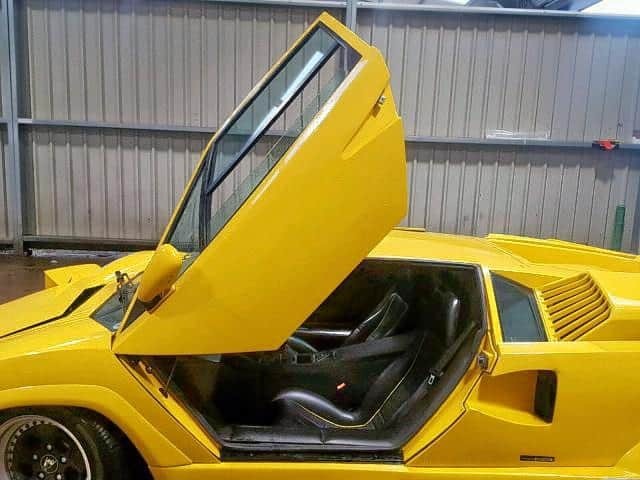 This is a late-model Countach – the 25th Anniversary Edition is one of the rarest of all, and featured the hand of none other than Horacio Pagani in its revised design touches – and its retail price is listed as £300,000. That’s almost $400,000 at the time of writing. 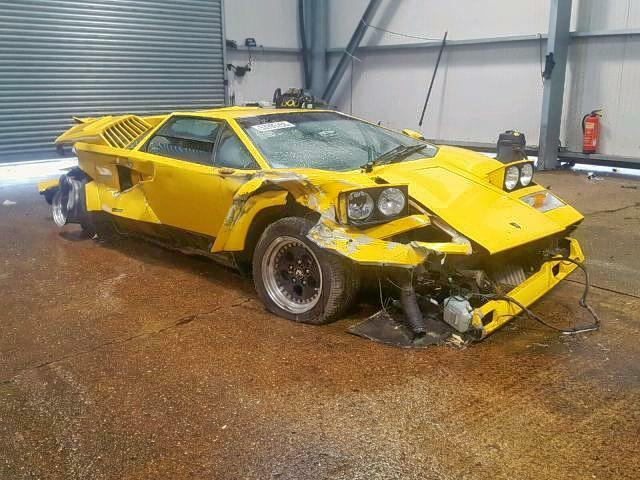 With 10 days of the auction left, the bid stands at £5100, with the reserve not yet met. 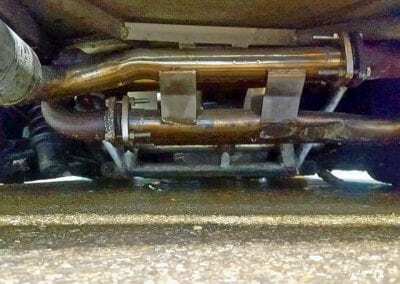 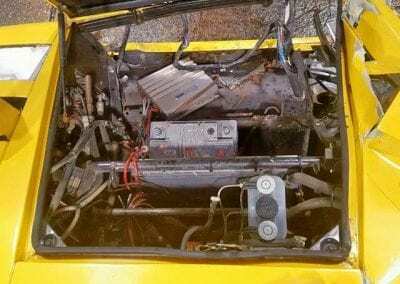 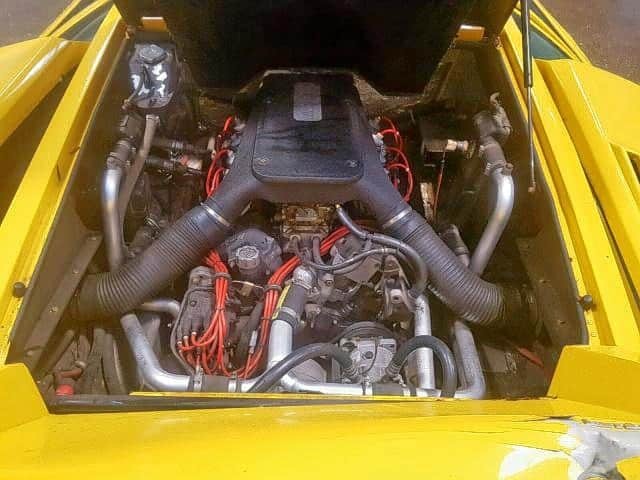 It’s very difficult to see that anyone could repair this Lamborghini Countach to running condition. 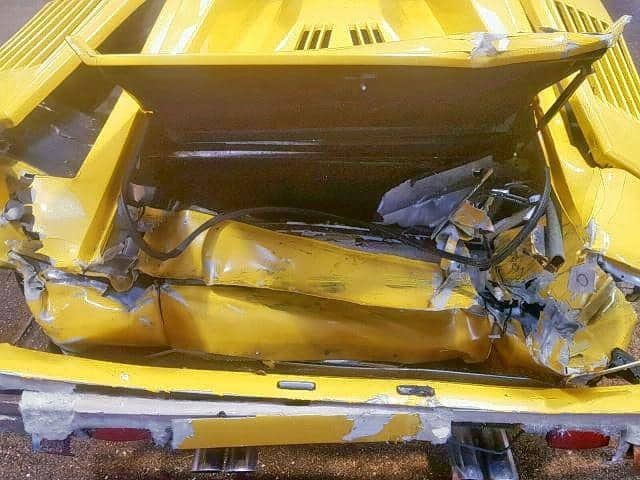 The body work would, as the picture show, require complete replacement – rather than restoration – and the chassis is listed as damaged also. 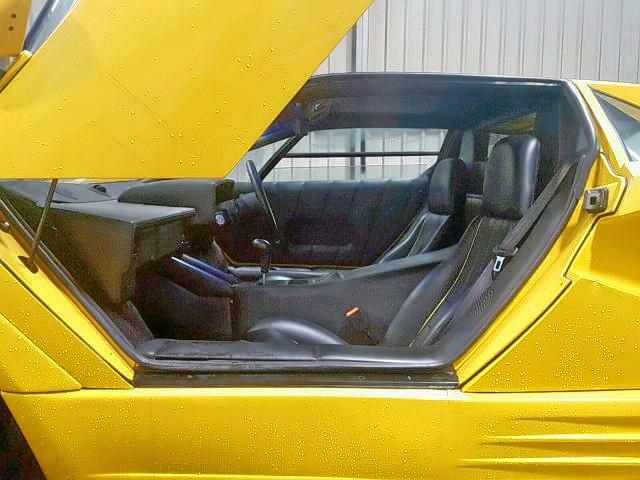 However, that could be a decent enough 5.2litre V12 engine in there, and there are many other parts that might be of interest. 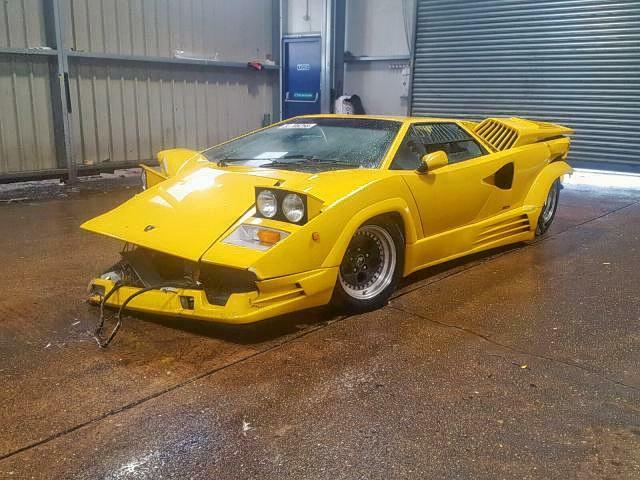 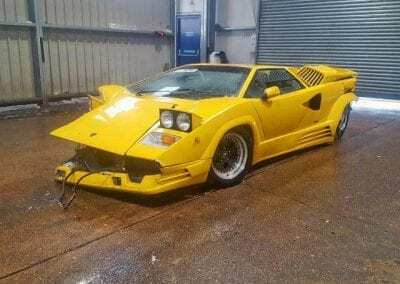 Perhaps somebody would like to build a ‘special’ of come kind, or may there be a poor soul out there with a good Countach that needs a new engine? 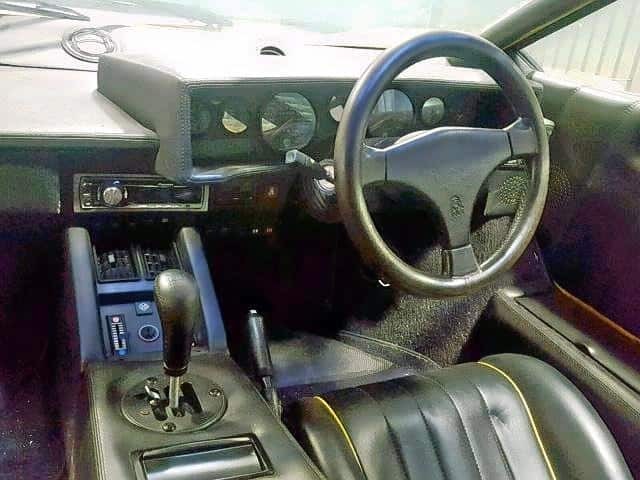 In working order, after all, this is a car that would hit 60mph in just 4.7seconds, had a top speed of 183mph, and was the dream car of many in the 1980’s. 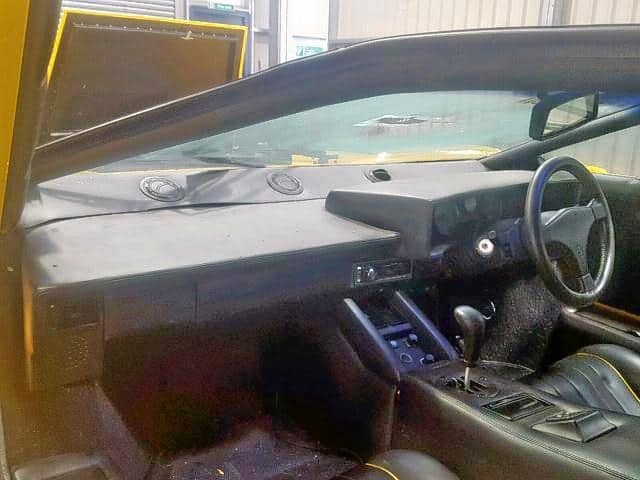 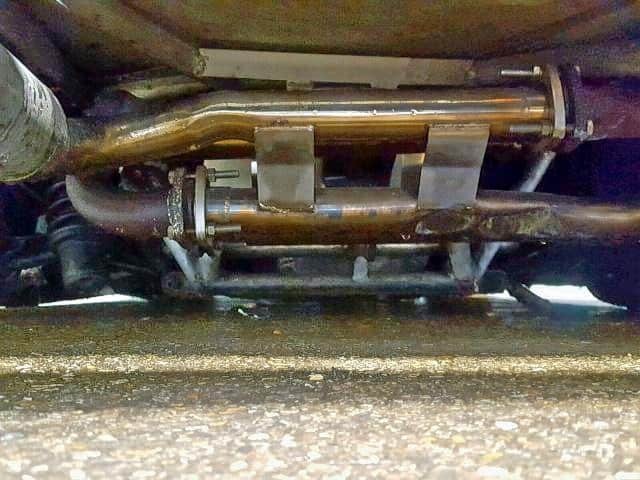 Surely somebody can make use of the bits that are usable? 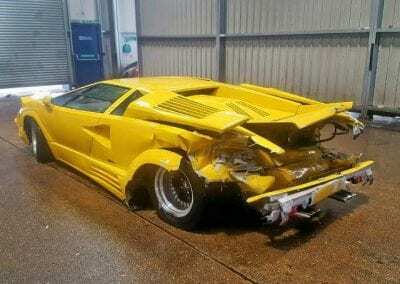 It really is a sad sight to see, and with this particular model being so rare, even more so, but these things happen. 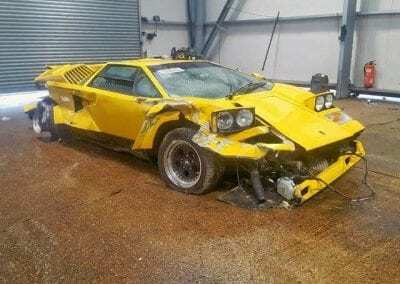 It will be interesting to see who buys it, and if we can find out what they want to do with it!